We thought it could not get any better, but it’s time to wave goodbye to 2016’s Rose Quartz and Serenity Blue shades. As the Gods of Colour have spoken and “Greenery” is the Pantone Colour of 2017. The colour, named Greenery, is described by Pantone as a tangy yellow-green often seen in foliage. Bringing forth a refreshing take, Greenery is a tangy yellow-green that speaks to our need to explore, experiment and reinvent. Illustrative of flourishing foliage, the fertile attributes of Greenery signals one to take a deep breath, oxygenate and reinvigorate. The colour “greenery,” similar to chartreuse, is well represented in the first buds and grass blades of new spring, but it also plays out in history at times of major cultural shifts, including the suffrage movement and flapper era of the 1920s and the war and racial justice protest movements and psychedelia of the ’60s and ’70s. In addition to the emerging recycle-and-share economies, we have green rooftops, green spaces and indoor vertical farming. In home decor, there’s a trend to connect with the elements outside through open spaces and vast windows, and a desire to bring nature inside through forestry murals and living moss walls. This uplifting, organic and energizing shade symbolises nature, new beginnings and spring. We could not be more excited! Greenery is a refreshing and revitalizing lime green shade that is symbolic of new beginnings and evokes the first days of spring when nature’s greens revive, restore and renew. It is a very versatile colour that works for all seasons and colour combinations. 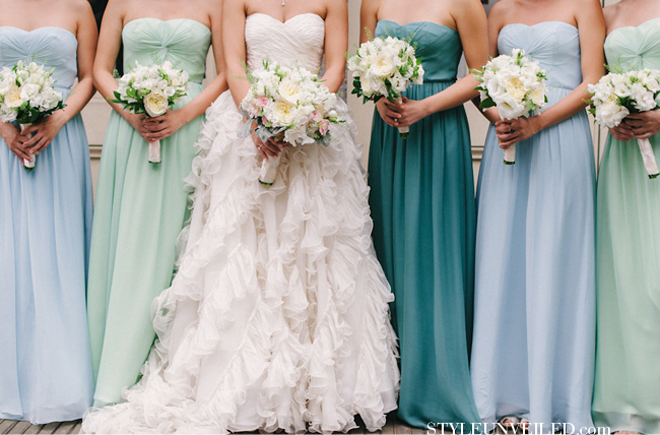 Brides and wedding planners can be playful by adding Greenery to your colour palette. This fresh shade can work alongside metallics, pastels, deep hues, brights and neutrals in many different ways. Two Colours Crowned for 2016! Pantone has for the first time crowned two colours of the year for 2016. Rose Quartz and Serenity are shades of pale pink and baby blue... both soft, slightly dusty pastels. 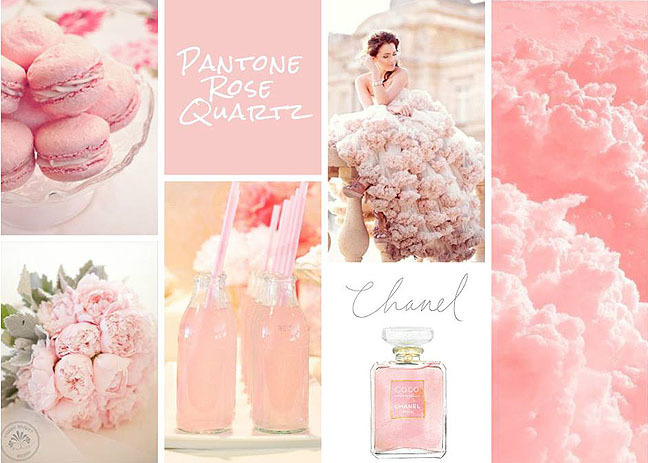 Rose Quartz - Pantone 1767 This really is a beautiful pink that will radiate well on the skin for women as well as men. Women can always be helped along by cosmetics, but guys have to rely on the colors they’re wearing to sometimes make them look a little healthier. Serenity - Pantone 2716 As the name suggests, Serenity is a calming color that plays to the whole idea that we know we’re still living in turbulent times. Blues simply relay that feeling of relaxation. *Pantone colours listed above are used in print. Tagged: Colours of the Year! 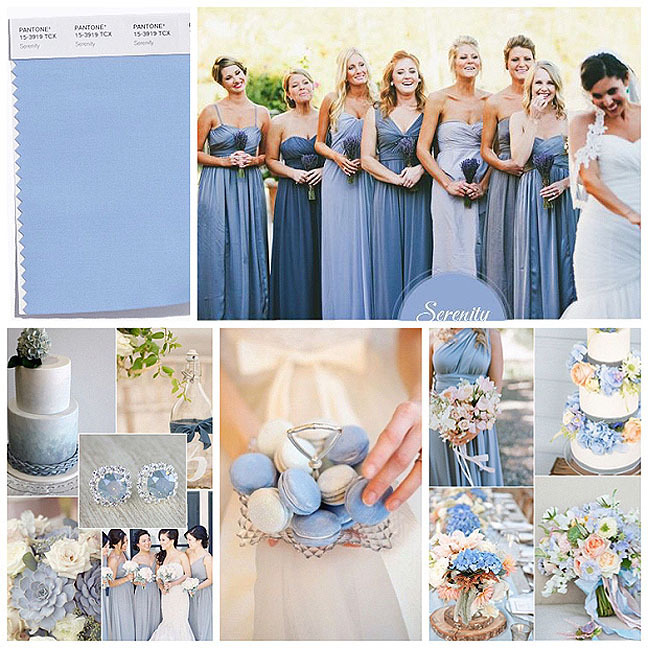 According to Pantone and the fashion industry the hot colours of 2016 are as follows... Quartz Pink, Serenity, Echo Peach, Snorkel Blue, Buttercup, Limpet Shell, Lilac Gray, Fiesta, Iced Coffee, Green Flash. When other popular hues have been canceled allowing for some unexpected color combinations. In addition, the healthy art world has sparked interest in some of these unexpected hues. Designers also referenced colours favoured by Matisse and Picasso, which have had blockbuster New York shows in the past year or so, and Frank Stella, Esther Stewart and Sam Falls also factored into the list. Bright and abstract art has become more of a mainstream thing. At one point in time art came from a very elitist standpoint and it was hard to bring the world of art into a fashion/forecast. But today people have accessibility. They can go online and don’t have to go a museum. Rose Quartz along with Peach Echo, Serenity, Limpet Shell, Lilac Gray and Iced Coffee are among Pantone’s new colors.